Nicki Minaj was the headline act at Made In America on Sunday, September 2. Her set at the Benjamin Franklin Parkway in Philadelphia included plenty of highlights from the recently-released Queen plus a few special guests. A$AP Ferg joined the party to play "Plain Jane" while Phily local Lil Uzi Vert came out to join Nicki on "The Way Life Goes." You can see highlights from the performance, including Uzi's incredible fit, below. 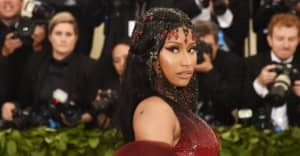 The Made In America set will be a rare live performance from Nicki Minaj, who recently postponed her North American tour with Future.